Still no aliens...but even infinitesimal odds are a chance. 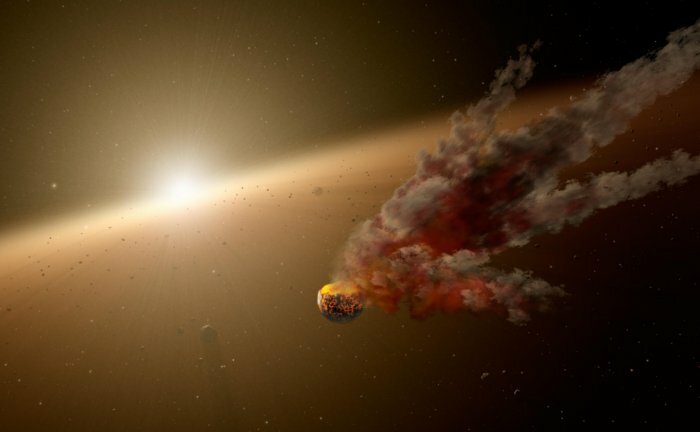 Tabby’s Star, or Star KIC 8462852, from the constellation Cygnus has baffled scientists since last year when Yale astronomers announced the discovery of the mysterious star with erratic, dramatic dips in brightness. Now, new observations from the Observatories of the Carnegie Institution of Washington are about to tell us that Tabby’s Star just got weirder. “The steady brightness change in KIC 8462852 is pretty astounding,” said study lead author Ben Montet. What throws scientists off about this dimming star is that it can’t be explained by anything that they currently know—the drops in brightness are too extreme to be caused by a passing planet or a cloud of dust. So could it be an alien megastructure? An advanced civilization harvesting energy? Experts are keen to say, though, that this is unlikely. Montet and co-author Joshua Simon scoured Kepler data in search of clues. The space telescope had been observing Tabby’s star from 2009 to 2013 (it was moved to other stars then after). Data revealed a surprising pattern. “Now we see that it has other features that are just as strange, both slowly dimming for almost three years and then suddenly getting fainter much more rapidly,” Simon said. The authors said they don’t know what’s behind the weird behavior of Tabby’s Star, but they hope their results, which have been accepted for publication in The Astrophysical Journal, will help eventually crack the case. Astronomers have already searched for communication signals coming from Tabby’s star using the Allen Telescope Array, a network of radio dishes in northern California operated by the SETI Institute—but they found nothing. Again, it’s pretty unlikely (unless they haven’t reached out to us yet). It’s really a huge mystery, and answers are yet to be found. Until Tabby’s Star dims just enough to wink back to us an answer to the mystery of what she is, we’ll have to keep looking.